An important decision about the expansion of Rawal Chowk is taken by the administration of Islamabad. It was decided in a meeting which took place at Khanna Interchange office. The infrastructure of Islamabad has already developed very much in the previous years. Many new roads are also built. 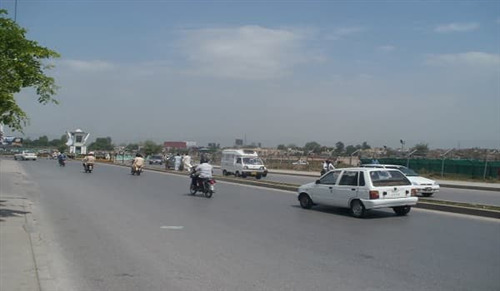 The Rawal Chowk is an important and main point of Capita City. By making three slips, it will be widened soon according to the latest news. This decision is taken for the convenience of people. Being a famous and main chowk of this city, the traffic load is heavy here. People often find problems while driving here. In a meeting, the Rawal Road expansion decision is taken by Chief Commissioner Amir Ali Ahmed. He is also a chairman of CDA (Capital Development Authority). The rough plan and policies about this decision are also discussed in a meeting. Many important traffic officials and other concerned authorities were also present in this siting. The traffic problems were discussed by the participants and by considering them a decision is taken to wide the Rawal Chowk. It is linked to many important places of Islamabad. So its expansion is the need of the hour. All the participants agreed on this particular point. The work on this project will be started soon.